Bright deep purple color. Spicy, attractive aromas and flavors of chocolate mint cookie, spiced blueberries and black raspberries in cream, hint of alpine herbs and menthol, and root vegetables and sandalwood incense with a satiny, vibrant, dry-yet-fruity medium-full body and a tingling, complex, long finish conveying notes of pomegranate, chocolate tangerine peel, and ground nuts with chewy, fine tannins and moderate oak flavor. A deliciously spicy and herbal malbec-forward red blend that will appeal to Aussie shiraz fans. Bottom Line: A deliciously spicy and herbal malbec-forward red blend that will appeal to Aussie shiraz fans. 92 • Tricyclo 2017 Cabernet Blend, Colchagua Valley 13.5% (Chile) $12.99. 92 • Tricyclo 2017 Malbec Blend, Colchagua Valley 13.5% (Chile) $12.99. 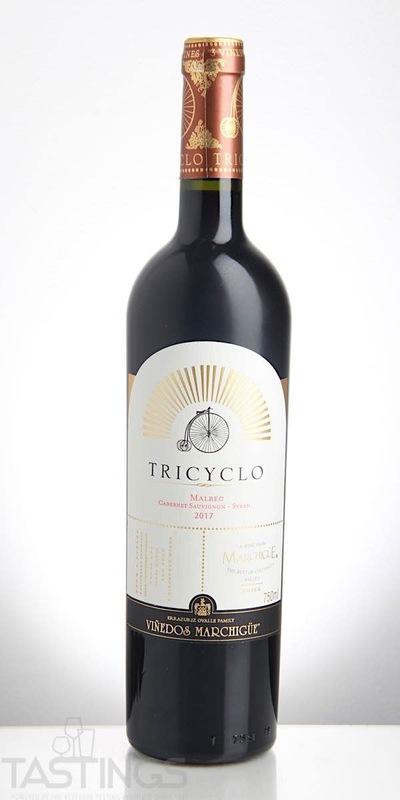 89 • Tricyclo 2017 Merlot Blend, Colchagua Valley 13.5% (Chile) $12.99. 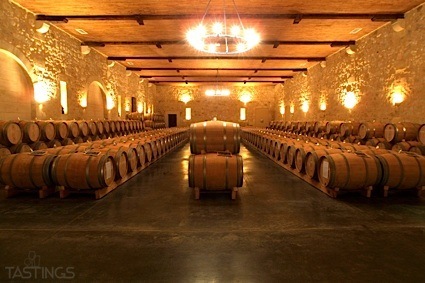 Tricyclo 2017 Malbec Blend, Colchagua Valley rating was calculated by tastings.com to be 92 points out of 100 on 6/11/2018. Please note that MSRP may have changed since the date of our review.